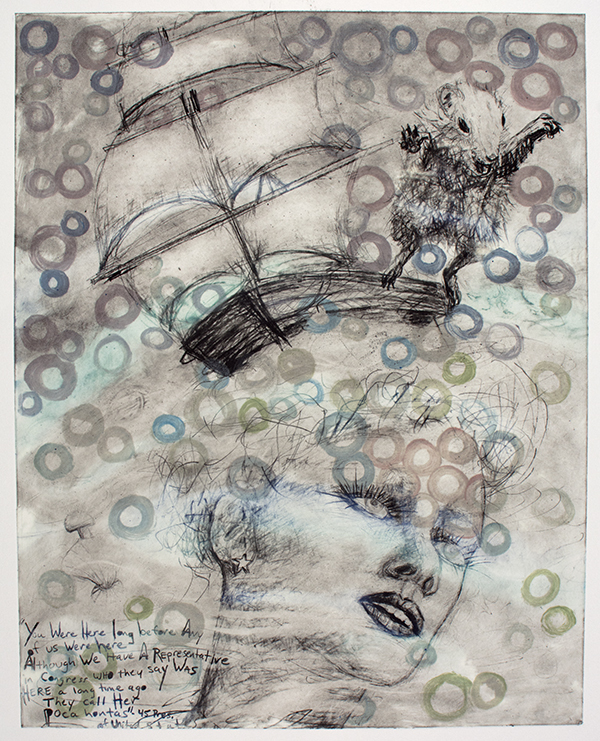 here long before, etching with mixed media, 22″ x 26″. “You were here long before any of us were here. Although we have a representative in Congress who they say was here a long time ago. They call her Pocahontas.” – 45th. One of a six part series of paintings and etchings featuring rodents, quotes by “45”, and references to 1960’s-1980’s vintage beauty ads..
© 2019 paula bullwinkel All Rights Reserved.